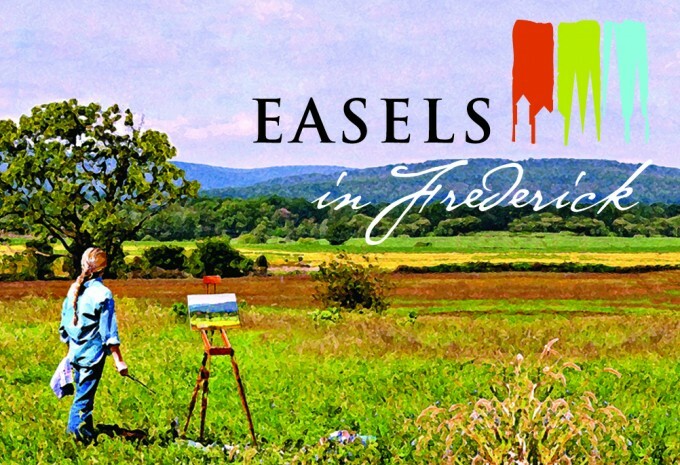 The beauty of Frederick County will be celebrated and captured on canvas when some 100 local, regional and national artists participate in “Easels In Frederick” this week. Beginning on Tuesday, 30 national juried artists, traveling from the Great Plains, the Deep South, and New England will descend upon Frederick to paint the county’s towns and landscapes. On Friday at noon, the artists will turn in four of their paintings (two to be judged for competition) that will be displayed, judged and sold on Friday evening and Saturday afternoon at the Grand Exhibition at the Wm. Talley Recreation Center at the edge of Baker Park. The exhibit, featuring more than 100 new and original paintings can first be seen at the Private Collector’s Preview, Friday, June 21, from 7-9:30 p.m., a $50 ticketed event with wine and canapés. The $50 ticket price can be applied to the purchase of any one Exhibition painting. The exhibit will re-open to the public free of charge on Saturday from 1-6 p.m.